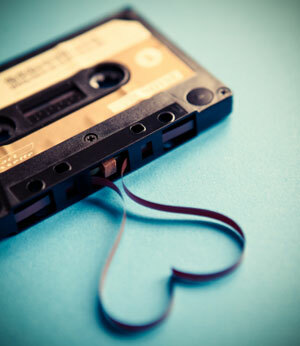 ‘New EP’ is where a band or artist answers some questions about their latest EP release. 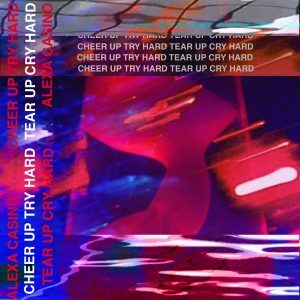 Up next is Alexa Casino, who has just released new EP ‘Cheer Up Try Hard Tear Up Cry Hard’. The EP was recorded in my bedroom this year. A couple of the songs are reworks of old iPad demos that I had that I really enjoy playing live but felt definitely needed a refresher. I produced and recorded it entirely on my own. I make lots of loops with synths and beats and layer them to start. I record my vocals and layer those too. Then I work on how I want it to sound. I obsess over it until I’m too frustrated to listen anymore, then I watch LOST until I’m frustrated with its toxic masculinity and return to music. Having never released a full length album and only singles, the EP feels like a long and formal format to work with. I think ideas and feelings and colours are more important to the shaping of my music than any gear that I use. That being said, the thing I’m most excited about for CHEER UP TRY HARD TEAR UP CRY HARD is its use of autotune. The lyric ‘cheer up try hard tear up cry hard’ is basically the theme of my life. Trying hard to make the most of little things then getting overwhelmed in a second. The thoughts that get stuck in your head that don’t go away when you’d like them to. Having done at least 20 live shows in Wellington in the past 12 months, I felt like it was probably a good idea to release an EP. I’m very restless. Not sure when I’ll have the patience or attention span or time to record an entire album. This EP is very much a separate entity of its own. It’s on Bandcamp & Soundcloud. YES! Friday at Caroline was my EP release party. It’s the first time I’ve headlined a show, I was so excited for it. A cool new girl band opened the night, they’re called namesake. My favourite band in the whole world played next – WOMB! I played my new EP in its entirety – as well as a bunch of old stuff and some fun covers. The end of the night was dedicated to dancing. Haz from WOMB DJed under the moniker DU MAGIC, and I ended the night with a DJ set also.